The people in your organization can be some of the most important assets, so use your due diligence when selecting a Human Resource Management System (HRMS). From the time of recruitment and onboarding to compensation and training, an HRMS can provide a database where all employee and vendor information is stored and utilized. A quality HRMS will allow your organization to easy view and measure the performance of management, with metrics to evaluate the ROI. There are a lot of different HRMS to choose from with so much innovation and competition in this space. Equation Technologies recommends Sage HRMS. More employers use Sage HRMS than any other human resource software, because it has been proven to be the most efficient, comprehensive, and cost-effective management information system available today. Sage HRMS eliminates time-consuming clerical work by organizing and automating the massive record-keeping needs of human resources. It also provides powerful tools for managing information about employees – your organization’s greatest asset and investment. 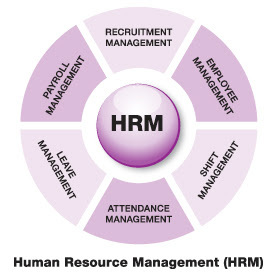 Streamlined HRMS Selection Processes – Human Resource professionals seek maximum efficiency, so when selecting an HRMS it is important to have access to a streamlined selection process and administrative functions. HRMS Integration Capabilities – It is likely that your business has probably used a variety of software to handle multiple HR tasks over the years. While a new HRMS may be able to replace a lot of these outdated systems you have been using, it should also be able to integrate with these systems to reduce any downtime. Regular Updates and Enhancements – You probably know, HR laws are constantly changing. This is why it’s extremely important to choose an HRMS that comes with regular compliance updates and enhancements to improve everyday use. A product that is stored in the cloud may also provide added features like portability and remote accessibility. Ongoing Software Support and Security – When you are evaluating a potential HRMS for your organization, you will need to also take into consideration how responsive and knowledgeable the software support team is for your industry. Get information as to what security features are in place to protect valuable employee and vendor data. Stakeholder Engagement - This is one of the most important aspects of selecting the right HRMS. You will need corporate buy-in from your stakeholders. This will include all the executive team as well as your employees who will be utilizing certain key features of the HRMS like self-managed benefits and HR reporting. For more information on Human Resource Management Systems contact Equation Technologies today.